Every once in a while, an idea comes along that just works. An idea that makes so much sense that it's hard to understand why nobody else did it before. 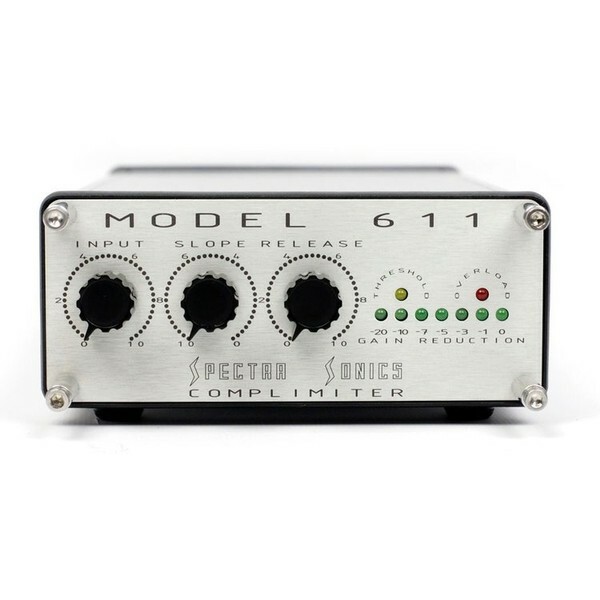 Enter the Spectra Sonics Model 611 Complimiter. Spectra Sonics is known for their proprietary Complimiter circuit. The Spectra Sonics Complimiter circuit features the fastest analog peak-limiter in the world. For decades engineers have used this circuit to "invisibly" remove transient peaks from their tracks. Removing even inaudible transient peaks improves the headroom and performance of equipment downstream of the Complimiter. Now imagine applying this principal at the start of your recording chain BEFORE peaks can cause any performance issues. 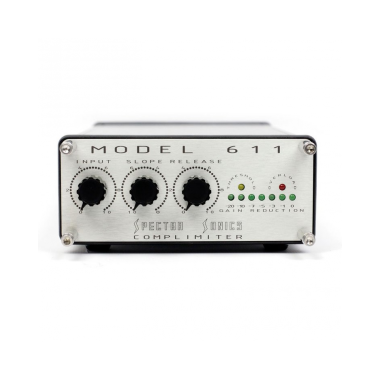 The Spectra Sonics Model 611 Complimiter is a hand-built, discrete design utilizing custom transformer I/O that accepts a balanced line input, microphone input, or high-impedance ¼" input and is designed to be placed in FRONT of the mic preamp in your signal chain, thereby eliminating transient peaks as close to the source as possible. Removing peaks before the preamp allows the preamp to more accurately reproduce the source before the recording device. Additionally, the compressor portion of the Model 611 Complimiter can be used to control the overall dynamic range – everything from evening out a bass track, to making a kick drum boom, or crushing a drum room mic. 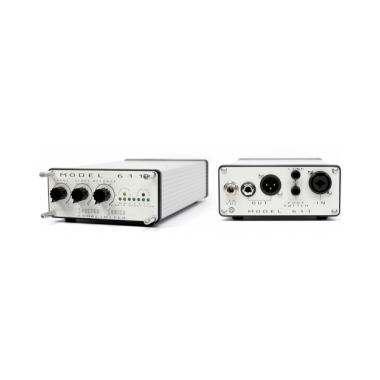 Plus, its small, portable extruded enclosure makes it easy to dial in sounds in the studio or control room alike. Perfect for producers and session musicians on the go. The Spectra Sonics Legacy was acquired by a partnership of two former employees in 2007. The same manufacturing techniques which were implemented by Spectra Sonics under its original ownership are still used today. All Spectra Sonics equipment is hand-tested and hand-soldered in our Ogden, Utah facility, by a small team of specialists. All Spectra Sonics equipment undergoes rigorous hands on testing before leaving the factory. Much of the testing equipment used was hand built in the original factory over 40 years ago. Our factory specifications have not changed. You can rest assured that your brand new Spectra Sonics equipment will sound just as good as your favorite vintage unit.